After a successful pre-sale and an overwhelmingly positive reception worldwide, Blockshipping announces the public sale of CCC tokens launches May 14. 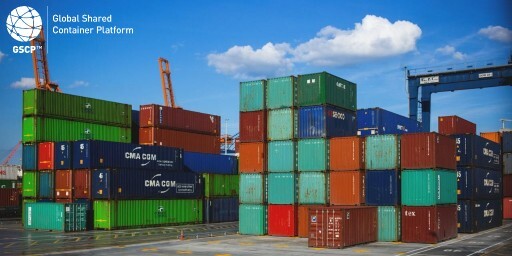 Blockshipping is creating the Global Shared Container Platform (GSCP), which is both the first real-time registry of the world’s approximately 27 million shipping containers, and a joint platform for all players in the container shipping industry – allowing them to efficiently perform a wide range of transactions related to the handling of containers globally. Additionally, wide adoption of the platform will result in industry savings of USD 5.7bn annually through smarter handling of shipping containers and substantial reduction of the global CO2 emissions. Since the Blockshipping token sale was first announced at the beginning of March, the reception to the Blockshipping GSCP project has been extremely positive, and the Blockshipping team has great expectations for the public sale. In a short amount of time, Blockshipping has managed to raise awareness about the company’s token sale in most parts of the world. Starting in Denmark and Scandinavia at the beginning of March, the wave of media attention spread rapidly worldwide with more than 100 articles about the Blockshipping GSCP project and the token sale in all continents in crypto media, fintech media, shipping media and broader business media. Furthermore, only two weeks after the initial public announcement, the Blockshipping.io had a vibrant community of more than 8,000 Telegram members (now over 9,500), more than 7,600 followers on Twitter and thousands of views and shares of Blockshipping’s stories on LinkedIn, Facebook and Medium. The positive ratings and the overwhelming interest from both community and media have strongly supported Blockshipping’s firm belief in the great potential of the Global Shared Container Platform. But even more important is the positive interest that Blockshipping is receiving from the shipping industry. How to participate in the public sale? To participate in the Blockshipping public sale contributors will have to register on the sales portal and complete a KYC (Know Your Customer) check. This registration can be done prior to the opening of the public sale on May 14. Blockshipping has created a token model that includes a unique set of features for the benefit of the contributors. Blockshipping is the source of this content. Virtual currency is not legal tender, is not backed by the government, and accounts and value balances are not subject to consumer protections. Cryptocurrencies and tokens are extremely volatile. There is no guarantee of a stable value, or of any value at all. Token sales are only suitable for individuals with a high risk tolerance. Only participate in a token event with what you can afford to lose. This press release is for informational purposes only. The information does not constitute investment advice or an offer to invest. *Please be aware that Blockshipping cannot accept contributions to the token sale from citizens of the United States of America.